PUTRAJAYA: The Ministry of Finance (MOF) on Sunday announced aid of RM100 each for Malaysian students at institutions of higher learning (IPTs). 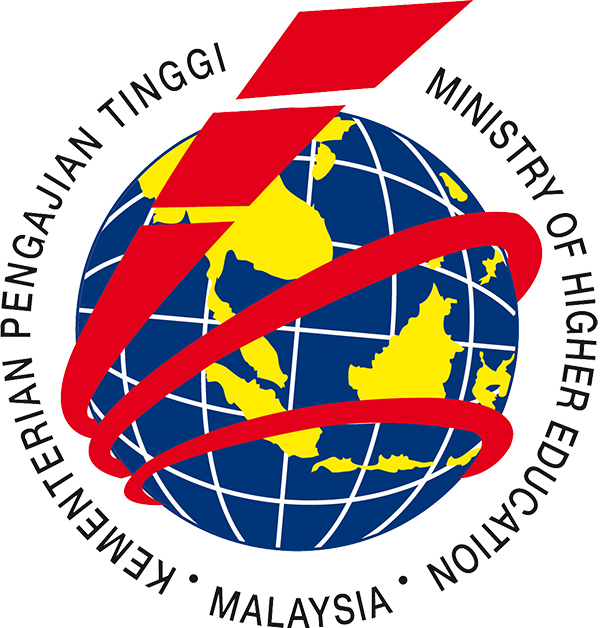 In a statement, MOF said the Government, in response to a suggestion by the Education Ministry (MOE) to help reduce the financial burden of IPT students, had agreed to approve the Higher Education Student Aid (BPPT) for this year. The aid, to be disbursed end of next month using existing mechanism, namely the Bank Rakyat debit card, is expected to benefit 1.2 million students and involve an allocation of RM120 million, it said. It said details on the implementation of BPPT 2019 and the criteria on the eligibility of students to receive the aid would be announced by MOE soon. 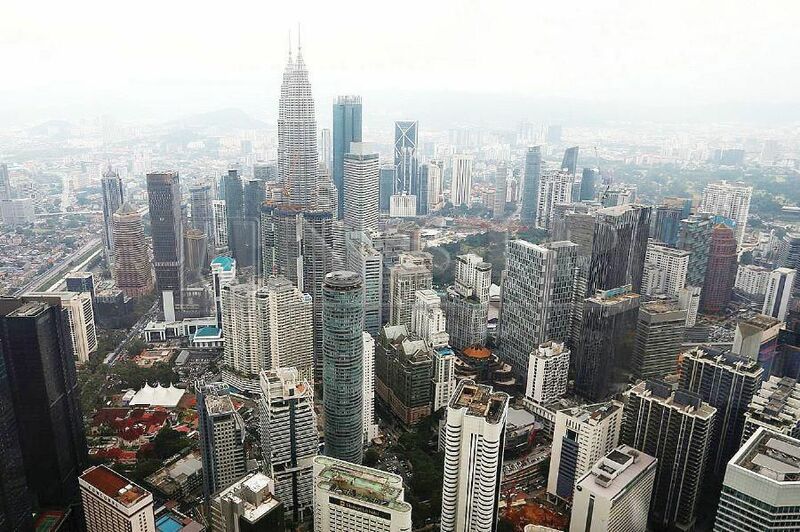 The disbursement of BPPT is in tandem with the Government’s announcement last Feb 20 to provide Cost of Living Aid (BSH) of RM100 to Malaysian singles, it said, adding that the BSH payment would benefit more than three million individuals and involve an allocation of RM300 million. Kuala Lumpur: Malaysia’s first flying car will be driven by local technology, says Minister of Entrepreneur Development Datuk Seri Redzuan Md Yusof. He said the car’s prototype is already available and is expected to be unveiled to the public this year. “This year is a realistic target because we have the technology. It is all about speed of implementation,” he said. He said the car would be safe and capable of flying at low altitude at a reasonable speed. “Investment to build the prototype would be slightly over RM1 million,” he said. Mohd Redzuan said the flying car project is a way for the government to create an environment that stimulates people to think about new technology. “We are providing the catalyst and ecosystem to stimulate the people to think beyond what we do today,” he said. He said the project is also to utilise the country’s capabilities in the aerospace, drone, unmanned aerial vehicle (UAV) and automotive sector. “Malaysia has the skill set to excel in the field of aerospace, drone, UAV and the national car, and we need to use our skill set because the bottom line is we want to be a producing nation,” he said. However, he said the project is separate from the third national car project envisioned by the Prime Minister. Fave founder Joel Neoh said the initiative aims to help 100,000 restaurants across Malaysia to grow digitally by 2020. “As the world evolves to going digital, offline businesses especially those in food and beverages and retail need to catch up and adapt to the growing shift in the behaviour of consumers or else risk being left behind,” he said. NEW students, particularly those in pre-school, often find it difficult to understand the mathematics learning process, especially those that involve numbers and basic operations such as addition and subtraction. In light of this, a group of Universiti Utara Malaysia (UUM) researchers developed a curriculum based on existing arithmetic mental techniques to facilitate the learning process. Led by Associate Professor Dr Ruzinoor Che Mat from UUM’s School of Creative Industry Management and Performing Arts (SCIMPA), together with Mohd Hafiz Mahayudin and Norani Nordin, the team developed the Penggambaran Mental Aritmetik untuk Kanak-kanak Pra-Sekolah (the Visualisation of Mental Arithmetic for Pre-schoolers) courseware so that pre-schoolers could memorise numbers and understand mathematical concepts more easily. Ruzinoor said he got the idea to develop the courseware after seeing his children face problems when asked to count fast. So he and his team used the latest technology to develop the courseware. He said mental arithmetic could be defined as adding numbers together, multiply and perform any other mathematical operations by using the brain without writing it down or using a calculator. “This mental arithmetic technique can help children build cognitive thinking when they need to use mental visualisation and fingers to perform basic calculation operations. With multimedia support, pre-school students can imagine the mathematical concept at a higher level. “Assisted by the evolution of computer technology, mathematics learning for preschool children can be improved with the help of multimedia tools to be able to attract their attention and interest, what more kids today are being exposed to computers at a very early age. He said the courseware provided the foundation for young children or pre-schoolers to familiarise themselves with and understand numbers. Within the courseware are the introduction module, tutorial, quizzes and games, which could help them easily understand the concept of mathematics using mental arithmetic techniques. According to Ruzinoor, in the introduction section, students will be exposed to mental arithmetic using hand images representing numbers with other objects, as well as audio to explain how mental arithmetic is represented in one hand, while in the tutorial section, they are exposed to two basic processes in mathematical operations, which are addition and subtraction. In the quiz section, he said, students were given three choices of questions to test the level of their mental arithmetic understanding, which focused on number base, addition and subtraction, while in the game, the children were given two types of challenges: Catch the Number and Puzzle. “The use of this courseware will improve their mathematical skills and engage them through the combinations of multimedia elements during the learning process. “In addition to that, the interactions between teachers and students, as well as between friends, is crucial to increase the level of understanding of the contents of this courseware,” he said. Ruzinoor and his team members faced numerous challenges in developing the courseware, not least in terms of time and finance. The project, which started in early January last year and was completed in June, received a grant of RM5,000 from UUM with the mandate it would benefit of the community. (File pix) Games development students at APU working as a team to produce video games. THE video gaming industry is one of the fastest growing in the world today. Last year, it made more than RM423 billion worldwide. There is huge potential in the gaming industry in the country. In 2016, local gaming studios had a part in developing popular games such as Uncharted 4, Terminator Salvation and Mortal Kombat X. The Malaysian studio Passion Republic has collaborated with international game developer Naughty Dog to develop the final instalment of the video game Uncharted 4: A Thief’s End. It is a testament to Malaysia as a creative hub with the right talent to thrive in the industry. With the growth of the industry, Malaysians are also jumping on the virtual world’s bandwagon to kick-start their careers such as producer, designer, artist, animator, digital media developer, and multimedia and animation tool developer. Higher Ed looks at the nurturing of successful game developers with a focus on Game Art, Game Design and Game Technology (Programming) and how a degree in these disciplines can contribute to the growing market. A champion of the gaming industry since 2000, the Malaysia Digital Economy Corporation (MDEC) is optimistic of the nation becoming one of this region’s leading game hubs. Take for example Multimedia University (MMU) game development graduate Hariz Mustafa, who has successfully published his virtual reality game, namely Deplau, on Steam Store, a digital distribution platform for video games developed by Valve Corporation. During his final-year project, he experimented with gestures controls for First Person Shooter, a type of computer game in which the player aims and shoots at targets. During his internship, he helped in developing a game prototype for Oculus Rift Development Kit 2 which led him to venture into virtual reality development. With the industry on the rise, academicians urged policy makers such as government agencies and companies related to the gaming industry to develop an integrated ecosystem for Malaysian casual gamers and professional eSports players with the aim to create a winning combination for the industry and the economy. Malaysia is on track to be the gaming industry hub as more international studios are entrusting local gaming studios with developing their intellectual property (IP). The Youth and Sports Ministry is pushing for more development in eSports and the gaming industry in the country. MMU lecturer Albert Quek said the gaming industry is unique as it is a melting pot of talents with backgrounds in art, and technical and design. He added that the government has recognised the gaming industry as one of the important for talent development. Government agencies such as MDEC understand the importance of building an ecosystem in the industry for nurturing talents from eSport gamers to game developers. Universiti Tunku Abdul Rahman (UTAR) Department of Game Studies head Kevin Tan Han Keong said the huge growth creates healthy competition, exchange of ideas and ample job opportunities. Democratisation means game developers are no longer constantly reinventing or creating game engines. “Instead they use established robust world class game engines such as Unity and Unreal, while focusing on creating quality game content,” added Tan. Associate Professor Wong Bee Suan, academic director at Asia Pacific University of Technology & Innovation (APU), said the booming gaming industry in Malaysia will translate into more investments and more jobs will be created. For example, multinational company Streamline has been in the country since 2010 and it has worked on Final Fantasy XV and Street Fighter V with Asia Pacific Institute of Information Technology students. “Students from different backgrounds can leverage on the gaming industry by working together to create games,” said Quek. “A game consists of visuals and sound, in addition to programming and game rules. Students of game technology with knowledge in programming can work with their peers versed in game art to create games. These graduates can explore careers in information technology (IT)-related fields, for example application programming. There is consistent growth in the user base for digital games in Southeast Asia, Tan added, especially in the online and mobile games market. With demand for new games in this region, comes the need for games which meet local tastes, localisation services and local content. The country has a healthy game development scene with many homegrown companies and talents that create original IP as well as outsourcing from international and established game studios such as Capcom, Naughty Dog and Blizzard. “Game studios are looking for new ideas and ways of solving problems. A graduate who enjoys being challenged and tapping into the unique multicultural Malaysian roots can offer new perspectives to the industry. Graduates can look forward to potential careers in multimedia, animation, interactive software development, 3D modelling, graphic design, web programming and web page design. The gaming industry is not limited to developing games, as there is a wide spectrum of the ecosystem from developing games and games art to playing games. The local video games industry is always on the lookout for fresh talents to work with on projects and the best way to nurture gaming talents is through education. In Malaysia, nine universities and colleges offer gaming courses from game development to eSports. There are Management & Science University, KDU University College and Universiti Pendidikan Sultan Idris besides APU, Limkokwing University, MMU and UTAR, which offer game courses at the degree level. Others include Clazroom College and Selayang Community College, which offer diploma courses, and the Academy of eSports. The Game Development programme at MMU exposes students to methodology through to pre-production, production and post-production, equipping students with the basics to design games. “This is to prepare students to be ready for the industry. During their final year, they are involved in an innovative game project that uses game technologies. “We have also appointed Wan Hazmer Wan Abd Halim, a well-known public figure in the industry with a portfolio as an ex-game designer of Final Fantasy 15, as industry adviser. “He will review the university’s game syllabus and how we can improve the programme,” said Quek. To ensure quality in the delivery of programmes, UTAR appoints professors from established foreign universities, who help moderate the courses and ensure the exam questions are in line with international standards. “The university also appoints industry advisers from the Malaysian games industry to consult on the curriculum, industry trends and matters related to students’ development in the field of games studies. Tan said with this holistic education does not only prepare students for a career in games development but it also serves as a foundation for lifelong learning and to embark on related fields of interest. 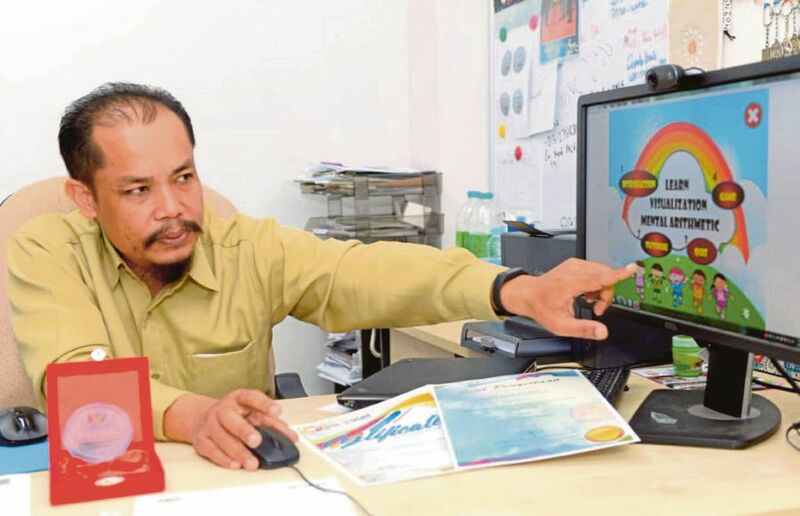 In the initial stages of introducing the Computer Games Development degree programme 15 years ago at APU, Wong said it was a challenge to convince parents to enrol their children as they have yet to see the potential of the industry compared to the more popular and well-received IT programmes. The university took the initiative to create awareness by participating in exhibitions and actively arranged talks and games workshops at schools. With the growth of the industry and job opportunities, gaming courses are now well-recognised as career pathways. APU is the first institution here to set up an eSports Academy together with eSports Malaysia. The academy focuses on training pro-gamers. Classes are offered during weekends for beginner, intermediate and expert levels, which run three months. With a wide array of relevant games programmes and mentors from the industry, Limkokwing University provides students with prospects to develop and hone relevant skills within its creative environment. An important feature is practical problem-solving with multi-disciplinary teams using current and emerging technologies. “The programme simulates practices in the gaming industry and students develop more specialised skills in their areas of interest. “From their first day on campus, students have access to the industry through a series of industry talks by experts to provide them with the necessary skills to design their future,” said Damian. [From left] Kumon instructors Azfar Nur Faruqi Sanusi, Jayalashimi V. Gopalan Nair and Julia Mah Bean Yuen. AS a new generation emerges in society, there will be differences that starkly distinguish it from the ones before, marked and influenced by events and conditions of the time. The current Generation Z, who were born 2005 onwards, are distinct in their aspirations and expectations even from its immediate previous Generation Y. With today’s highly connected world, the Gen Z — as they are called — developed shorter attention spans, are more visually driven, have higher expectations yet lower thresholds in the face of hardships. They are attributed with being demanding, uncommitted to the common workplace and opinionated. On the flip-side, Gen Z are also creative, open-minded and accepting as compared to previous generations. They are more socially responsible but due to their comfortable upbringing being raised during good times with heavy exposure to social media, most may find it difficult to handle stress and disappointments than preceding generations. It can help him become curious, proactive, positive and confident in his abilities and interactions. Kumon instructors Julia Mah Bean Yuen, Jayalashimi V. Gopalan Nair and Azfar Nur Faruqi Sanusi all have seen how their charges develop the children’s own mental toughness over time at their centres. Mah who has been running her centre for the past 18 years said that Kumon builds confidence in her students as they are able to tackle problems presented on worksheets without much guidance. Mah said Kumon builds confidence in her students. “Kumon worksheets are a challenge to the students,” she explained. “When they overcome that challenge, they feel satisfaction, joy and empowerment. Self-esteem, confidence and perseverance is then inculcated. Jayalashimi said self-learning is the main objective for Kumon. She felt that once students are able to self-learn and attempt their worksheet independently, they have already begun developing their confidence level, self-esteem, discipline and commitment. She said that on an average, a new Kumon student takes about eight months to a year to surpass what he learns in school. Azfar, a four-year Kumon instructor, concurred: “Some children come in at a low level in ability and self-esteem, perhaps due to roadblocks they experienced at school and they may be left behind. Azfar said solving Kumon worksheet gives students a sense of self-empowerment. “As the Mathmatics and English problems in the worksheets are appropriate for the students’ individual levels, when they realise they can solve those problems, they feel more confident. It gives them a sense of self-empowerment and helps them handle their emotions when faced with adversity,” Azfar added. Jayalashimi pointed out that the Kumon worksheets are designed in precision with content that is highly structured. “From 1954 till today, the worksheets have been evolving according to the development of education policies and programmes from all over the world,” she said. Kumon is the world’s leading after-school enrichment programme with more than four million students from 50 countries worldwide. Redzuan: Malaysia’s first-ever flying car to be revealed this year. 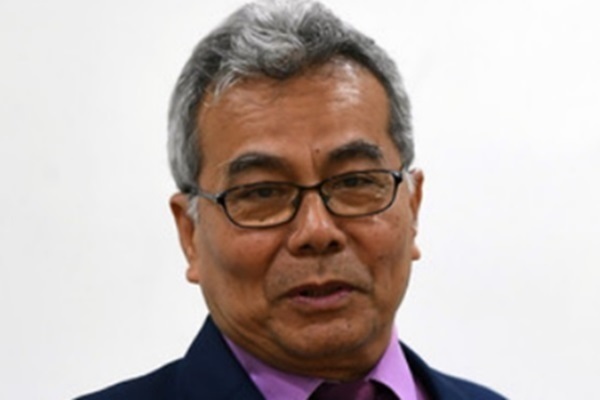 KUALA LUMPUR (Bernama): Malaysia’s first-ever flying car – driven by local technology – is expected to be unveiled this year, says Datuk Seri Redzuan Md Yusof (pic). The Entrepreneur Development Minister said a prototype of the car already exists. “This year is a realistic target because we have the technology. It is all about the speed of implementation,” he told reporters after launching the Growth Malaysia initiative here on Tuesday (Feb 26). He said the car would be safe and capable of flying at low altitude at a reasonable speed. He said the project is also to utilise the country’s capabilities in the aerospace, drone, unmanned aerial vehicle (UAV) and automotive sectors. “Malaysia has the skill set to excel in the field of aerospace, drone, UAV and the national car. We need to use our skill set because the bottom line is we want to be a producing nation,” he said. However, he said the project is separate from the third national car project envisioned by Prime Minister Tun Dr Mahathir Mohamad. On Growth Malaysia, he said the initiative is led by online to offline platform operator Fave to help Malaysian offline retailers to go digital in terms of payments, marketing, data and financial services. NST Leader: Stop the rubbish! ON Oct 25, this newspaper carried a Reuters story that dubbed Malaysia a dumping ground of choice for global plastic waste. Millions of Malaysian hearts must have ached. If this was not enough, the waste was dumped in Pulau Indah, which means “beautiful island”. The irony was not lost on us. Just as we were trying to nurse our way out of this foul pang, we are hit with the plastic scourge again. This time, plastic waste at illegal recycling factories in Jenjarom. We frontpaged the picture of the plastic waste yesterday, because we know it depicts the scale of the scourge even a thousands words cannot express. And because, too, the scourge makes the words strain, crack and break in a Eliotesque way. Sadly, the plastic waste problem is not limited to Selangor. Shut down the illegal factories in one state, they will reappear elsewhere. Almost overnight. Enforcement is an issue, obviously. Otherwise, how do we explain their erstwhile illegal operations. We can’t do without enforcement, it seems. From illegal parking to corruption, we need frequent policing. Be that as it may, there is a larger, more dangerous problem that resides elsewhere. It is in the kind of business we promote. Why import the world’s rubbish to be recycled here? Why turn the country into a landfill for the rest of the world? Do we not have enough haze to pollute the air? Plastic processing comes with pollution risks, however well you do it. Oh no, do not come to us with your SOPs. We have heard that before. What’s more, they do not quite address the toxic fumes released by burning plastic waste that cannot be recycled. Not addressed, too, is the plastic waste that gets dumped in landfills, poisoning the soil and water sources. We recognise there are two views. One is business-centric. Milton Friedman-like (who infamously said the only social responsibility of a business is to make profit), they are all for the money. Show me the money and we will approve it, they seem to say. Such a view, if pursued without due care, will endanger the wellbeing of the people, and the nation. For what is a nation without its people? Plus, all the money made out of such businesses will be more than wiped out by the health bill that the national coffers may have to foot. Such a view should not be supported. The other, quite rightly we must say, places people before profit. Such a view is against turning Malaysia into a trash can for developed nations. And a humongous one at that. Picture this. 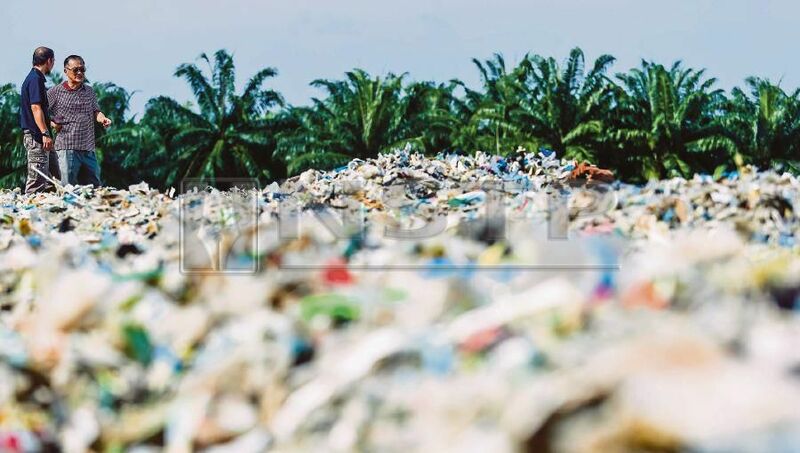 Just in seven months of last year, Malaysia imported 754,707 tonnes of plastic waste. That is the weight of a thousand double-decked skybridge that joins the sky lobbies of Petronas Twin Towers. Or the weight of 82 Eiffel towers. Admittedly, this is a discordant comparison — juxtaposing the beauty and the beast — but the aim is to show the heavy load on the nation’s shoulders. Malaysia needs an inclusive and sustainable economic policy to face the challenges of a volatile, uncertain, complex and ambiguous world. THE newly-formed Economic Action Council (EAC) should introduce a national inclusive and sustainable economic policy (Nisep) to prepare Malaysia to face the challenges of a VUCA (volatile, uncertain, complex and ambiguous) world. Malaysia needs a macro-economic policy that promotes robust albeit sustainable economic growth. The policy must put the country on a strong growth trajectory taking into account its strengths, weaknesses and unique propositions. There must be a strong focus on deregulation to make the private sector a strong engine of growth. This will reduce the crowding out effect and make the sector more competitive. The policy must empower and encourage the growth of small- and medium-sized enterprises and start-ups. It should embrace digital-driven growth from big data, robotics, artificial intelligence (AI) and the Internet of Things (IoT) to spur digital transformation. Greater focus must be given to eradicating inequalities. The national economic policy should prioritise inclusive development. Greater attention must be accorded to urban poverty such as the B40 (Bottom 40) income group and Orang Asli. No one should be left behind. To ensure the success of inclusive development, higher standards of human rights should be set. A needs-based poverty alleviation strategy should be emphasised. The United Nations Sustainable Development Goals (SDGs) should be given attention — promote tripartite performance between government, business and civil society to achieve the SDGs by 2030. This is important, especially for future jobs. More programmes should be developed to reskill and retrain workers. On-the-job training and certification should be implemented on a larger scale. Technical and vocational education and training needs to be restructured with a higher pay structure for trained skilled workers. To reduce graduate unemployment, soft skills should be included in the university curriculum, such as communications, problem-solving and critical thinking skills. We should encourage Malays-ians to be multilingual in Bahasa Melayu, English and either Mandarin, Tamil, Japanese or a European language like German, French or Spanish. To prepare the next generation for Industry 4.0, coding should be taught in schools. Emphasis should be placed on AI, robotics and IoT to create more jobs of the future. We need also a big push in productivity. Strategies, policies and plans should be developed to support the development of entrepre- neurs, in particular among youth and women. We need a dynamic and conducive ecosystem to foster entrepreneurial growth and start-ups. Micro enterprises should be given more encouragement and incentives. Social enterprises should be encouraged and promoted, while companies should be encouraged to realign their corporate social responsibility programmes to support social enterprises that can contribute to social good and community wellbeing. Underpinning the new national economic policy should be a strong commitment to ethical leadership and integrity. There should be zero tolerance for corruption in public and private sectors. An all-out war against corruption is necessary. Institutional reforms should be expedited to establish good governance, integrity, accountability and transparency. PROMOTING the 3Is (integrity, inclusiveness, innovation) to achieve the 3Ps (peace, progress, prosperity). By Tan Sri Michael Yeoh Oon Kheng. PALM oil is an important commodity as it contributes almost four per cent to the country’s gross domestic product amounting to approximately RM45 billion per year. The recent low price at RM1,972 per tonne (in November last year) generated great interest in segments of the population as low prices have affected many smallholders. Although the statistics recorded a steep downward trend in recent months, the general opinion in the industry is that it may not decline further, and at most will hover at the current price of around RM2,100 per tonne, as shown over the past month. Fluctuations in prices are common for world commodities, including soya bean and corn. Soya bean oil price was at US$732 (RM2,983) in the last week of January compared with US$690 in December. Sunflower oil recorded a steep price reduction at US$703 in December when it was almost reaching US$780 six months earlier. The price trends of palm oil affecting local growers are influenced by demand and supply, and other technical factors. Malaysian palm oil production is consumed only up to 18 per cent locally and the balance is exported to India, Europe, China, Africa and the Middle East. Thus, the volatility of global oils and fats demand will affect its price. For instance, the slowdown of palm oil exports to China since June 2018 has resulted in the build-up of palm oil stocks that caused the price to go down. The price and production of competing vegetable oils such as soya bean, corn, sunflower and rapeseed oil also affect palm oil price. As the yield of these competing oils increase, the demand volume for palm oil reduces. This, again, will lead to an increase in stockpile causing a reduction in palm oil price. Similarly, changes in import policies by the importing countries, such as in regulations or tax structure, can affect the volume of palm oil exports. When the European Union, in April 2017, banned unsustainable palm oil imports for food and biofuels by 2020, Malaysia felt the impact almost immediately. It was reported that EU imports fell by 15.34 per cent compared with the previous years. Prices are also affected by the level of production/yield of the crop itself. The two episodes of El Nino in 1997-1998 and 2015-2016, which caused severe droughts, had affected the yield badly causing a shortage of palm oil stocks. 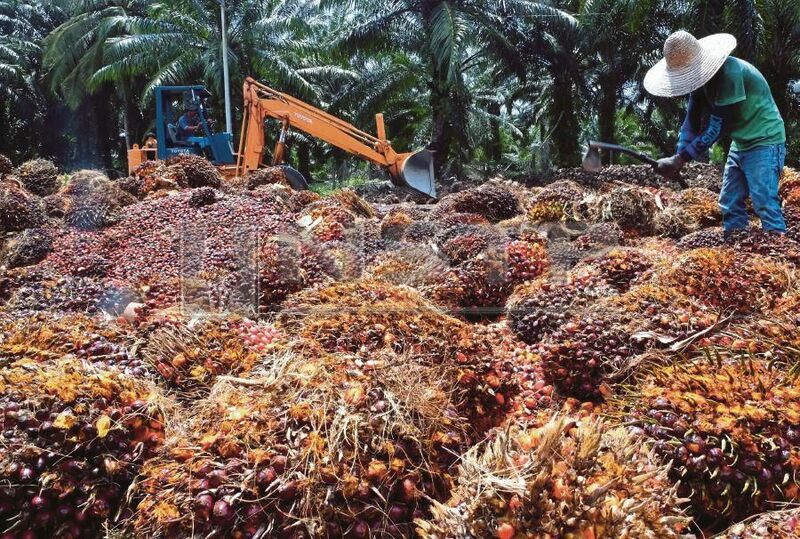 During the latter episode, the price of crude palm oil rose to RM3,200 from RM1,800, where smallholders enjoyed the returns of almost RM700 per tonne of fresh fruit bunches (FFB). The planting and replanting schemes in 2011 and the fertiliser aid scheme in 2015 had contributed to the increase in the production of FFB now as the plants have matured and begun to fruit at a commercially viable volume. To be fair to the palm oil industry, we should recognise the factors that influence the price cycles of this commodity. Prices of crude palm oil now are still at the higher range compared with between 2003 and 2006 when prices stayed at an all-time low of below RM1,900 per tonne. We are accustomed to the high price range seen in the last 11 years since 2008 that we have forgotten the downturn in prices of the past. You are currently browsing the www.Teo-Education.Com blog archives for February, 2019.